New playground completed October 2018. HAZELDALE PARK IS NOW OPEN! (Oct. 19, 2018) - The park is now open with new sidewalk connections and parking lot. Upgrades include a fully accessible playground and additional site amenities. (August 2018) - Hazeldale Park’s playground and parking lot will be improved this summer/fall. Work will start on July 2 and is expected to be complete by Oct. 1. The park will remain open throughout construction. THPRD will install ADA-accessible play equipment, drinking fountain, picnic table, bench and portable toilet enclosure. An ADA-accessible connection will be added to SW Prospect Place and SW Prospect Street. The parking lot will be closed and fenced off during construction. Park users will be able to access the site from SW 196th Avenue, SW Rosa Road or SW Prospect Place. 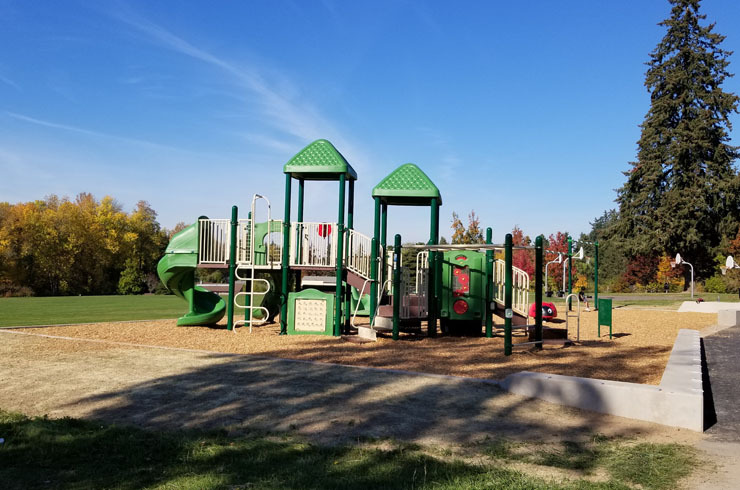 Located Just off of SW Farmington Road, in Aloha, Hazeldale Park is an 11-acre neighborhood park that features three baseball fields, a soccer field, basketball courts, and a playground. 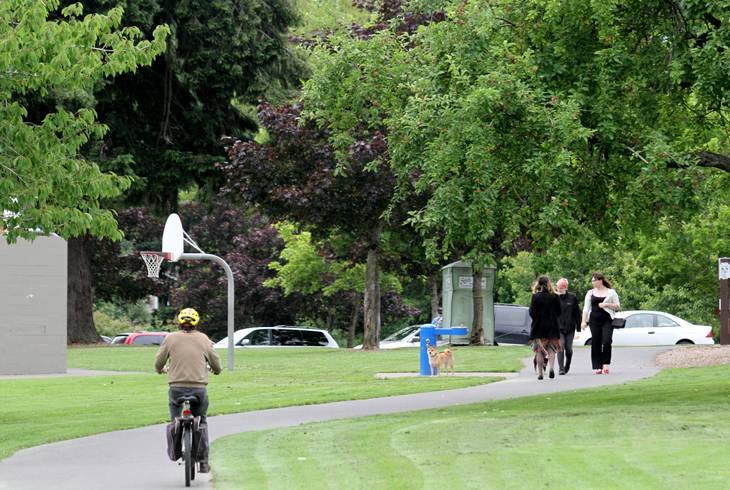 A paved loop trail encircles the park and can be easily accessed from nearby neighborhoods. 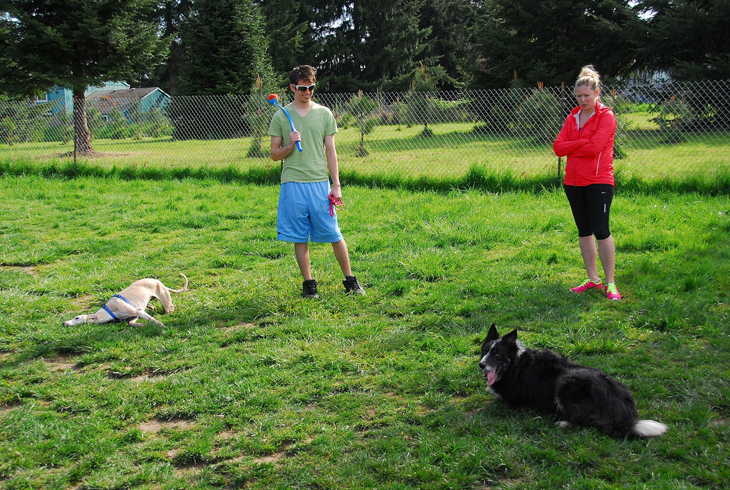 Hazeldale Park's off-leash dog park -- one of three in the district -- is a popular destination. The dog area is a fenced, two-acre grass and dirt area at the south end of the park with benches, disposal bags, and a water fountain. The all-season area is open year-round; the grass areas are open April through October. In 2014, a series of sculptures from artist Stacy Levy were installed to illustrate how birds affect the vegetation growing around where they perch. 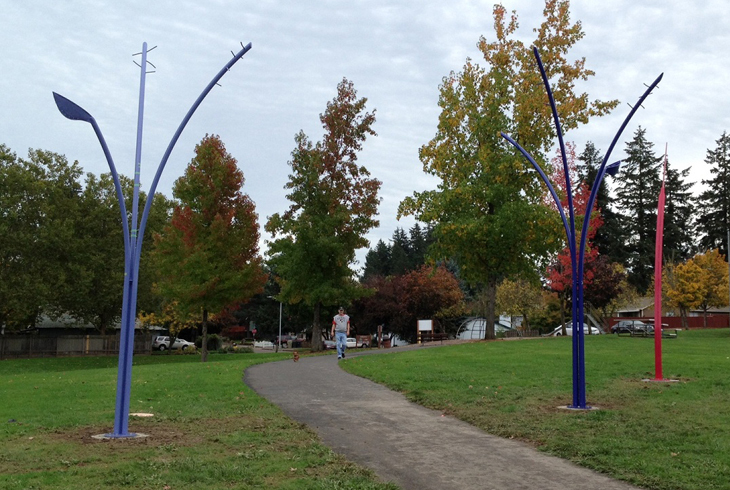 The installation is part of Nature Revealed: Discovering Nature Through Art, a project funded by the 2008 Bond Measure.